Again…wasn’t planning on being home for dinner. Since I was, I sort of settled on the fact I wanted tacos. I was just going to go to Meijer, get some ground beef, and make them myself, but J said she wanted a Slurpee. That worked out pretty good because I seem to remember a Mexican place right next to the 7-Eleven in Oshtemo Township. Big Burrito is on KL Avenue at the Drake Road intersection in Kalamazoo. It’s part of a small strip mall that also has the aforementioned 7-Eleven and a Cottage Inn Pizza. As we turned on to KL Avenue from Drake, we noticed the parking lot looked pretty full. We kind of told ourselves all the people were probably getting Big Gulps or picking up pizza’s, but really, everyone seemed to have the same idea we did. You order when you first walk in. There’s a counter with a single cash register. The menu board is in an awkward position high on the wall to the left of the cash register. I noticed a paper menu on the counter and grabbed it which made it easier for us to see what they had. I wanted tacos and J wanted guacamole. We ended up with four tacos. I got three with just beef, cheese, and lettuce. J got one with beef, cheese, lettuce, tomato, and sour cream. We were given two paper boats of chips and two bowls of salsa just for ordering, but J wanted guac so she got a medium order and two more boats of chips. We finished dinner off with a Sprite for me and a blended margarita for J. The total was a little over $18. We grabbed our tray with chips, salsa, quac and a bottle of mild sauce and headed for a table….but there were no available tables. Everyone was full, so we took a seat at the bar. I’m still amazed how crazy the place was. All the tables were full and there was almost a line out the door waiting to order. Not long after we sat down, the bartender finished up J’s drink and handed it to her. It wasn’t what she ordered. She asked for sugar. There was salt on the rim. She asked for blended. It wasn’t. She didn’t say anything and just drank it, but ten minutes later, the bartender mixed another one then called out her name. J said she already got one. The bartender gave it to her anyway since he already made it. This one was the right one, but she had already drank half of the wrong one, so I ended up with a little bit of margarita too. While we were waiting on the tacos, we both dug into the chips. J was a big fan of the guacamole. It wasn’t as good as her all-time favorite guac from Andy’s Deli in Holt, but it was pretty damn close. It was homemade which is the reason she ordered it. The tacos came out a few minutes later. 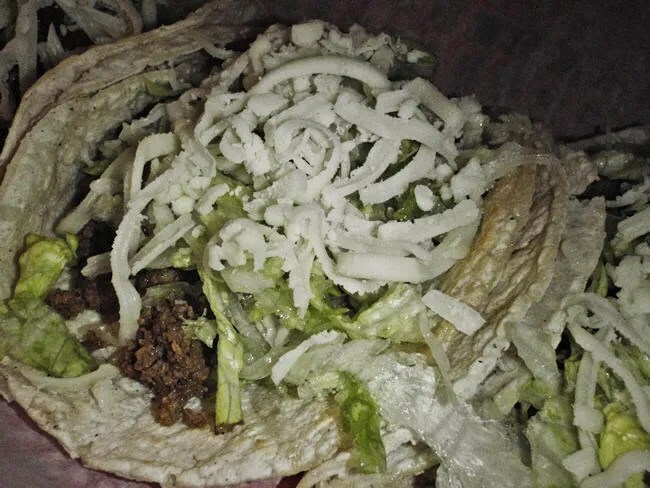 Each taco was served on a warm corn tortilla and the filling was piled on. I really liked them. When I started craving tacos several hours earlier, I was craving more of a fast food taco, but this was completely not a fast food taco. It was surprisingly good. The tortilla was delicious. It was double wrapped, so each taco was actually two tortillas. As much as I liked the tacos, they didn’t do anything for J. She really liked the tortilla as well, but that’s about it. In hindsight, she probably should have just went with meat, cheese, and lettuce like I did. She was not a fan at all of the tomatoes and the sour cream. She didn’t like the temperature difference between the steaming hot meat and the cold sour cream and tomatoes. She dumped out the filling and just ate the tortilla. 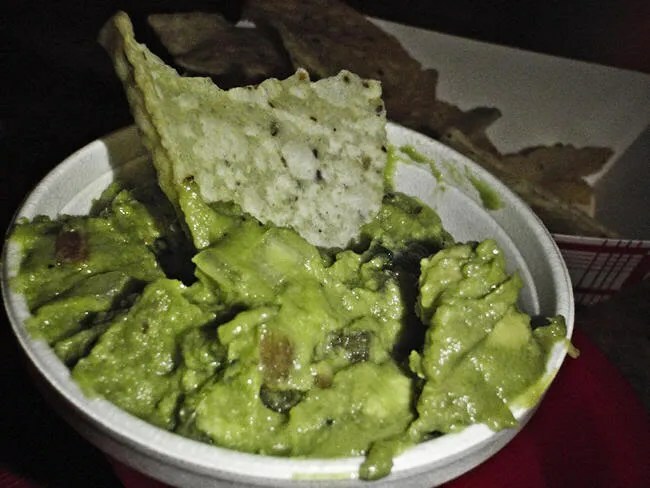 Fortunately, we had a lot of chips and a lot of guac so she filled up on that. 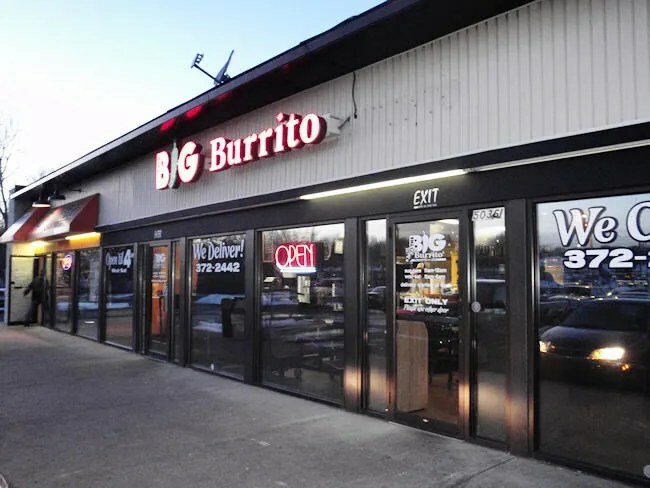 Big Burrito was not at all what I was expecting and I was really shocked to see it is as popular as it is. I really liked the tacos and could see myself going back many times. J liked the guac, but didn’t like the taco at all, so I may be making solo trips back in the future…or the next time we want Slurpees from next door. Never had tacos here, only awesome grilled burritos. 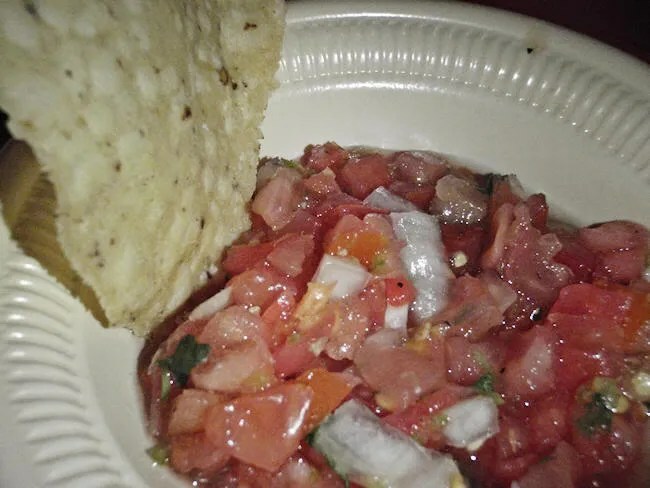 I think they make their own chips, I love the guac, and the pico de gallo is so delicious I can drink the juice. Interesting that they serve alcohol here now, as far as I know they didn’t years ago. This is a huge WMU drunk food destination after the bars. I think they’re open until 3 or 4 am. This place used to be in Chicago. The owner packed it up and moved it to Kalamazoo. 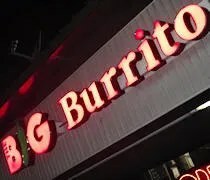 I have heard of many late night runs to Big Burrito. It was packed the night we were in there and it was only dinner….not after the bars closed. I recommend this place. Not only the food is great (burritos, tacos, quesadillas, and their variety of flavor) but also the attention is excellent, very kind and efficient! !